Home › Wenshow Meat Tenderizer - 56 Professional & Ultra Sharp Stainless Steel Blade..
Wenshow Meat Tenderizer - 56 Professional & Ultra Sharp Stainless Steel Blade.. THE BEST MEAT TENDERIZER, nobody else comes close. Why takes chances with other tenderizers when you can buy the best one right now? Your satisfaction is our number one priority and when you press the add to cart button now, you have our promise that you'll be satisfied. SLEEK AND SIMPLE, you can get up and running with this tenderizer in just minutes. It's simple and easy to use and you'll love how it makes cooking easier every single time. AN AFFORDABLE EXTRAVAGANCE, our tenderizer has been designed and engineered to perfection, ensuring a luxury and enjoyable experience for everyone. EXTREMELY DURABLE, our high-performance materials and precision engineering ensures that the tenderizer will last you a lifetime of daily use. This isn't like the other cheap products which break after just a few uses, this is premium grade manufacturing. TIME TO ACT, instead of just reading about the perfect meat tenderizer, why don't you actually get one for yourself? Get your grilling perfect for a more enjoyable experience by pressing the add to cart button now. Specifications Material: High quality stainless steel ans ABS handle Weight: 210g More effective design: 56 sharp stainless steel Press type design with transparent cover cap Safety lock for safety Instructions 1. Before using the tenderizer for the first time. It is recommended that itbe cleaned thoroughly. 2. Place roast,steak,fish or other cut of meat on the cutting board. Removecover from your meat tenderizer. 3. 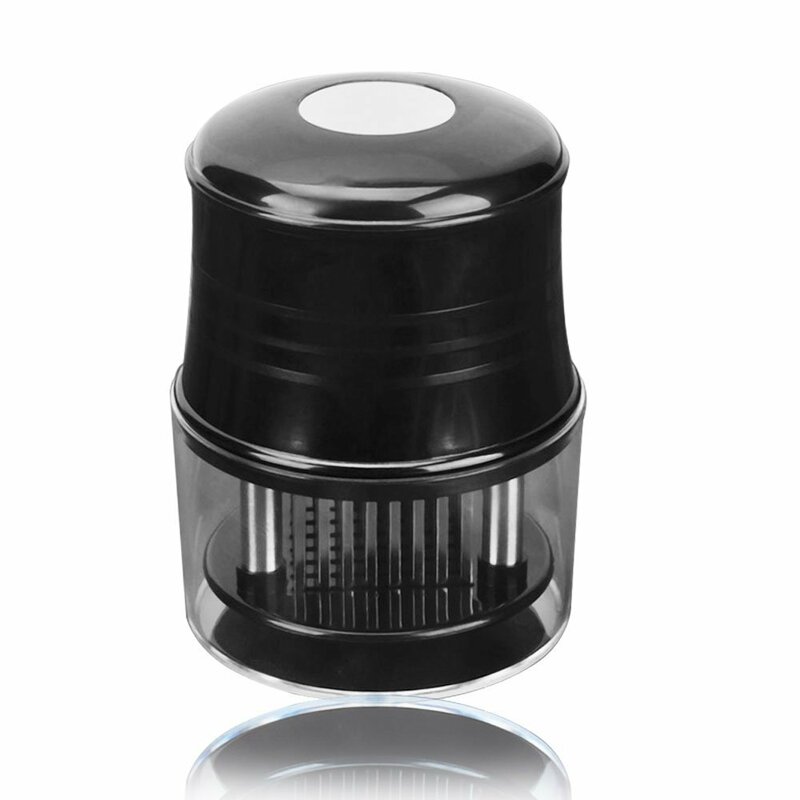 Gently press your meat tenderizer on the top of the steak,roast or othercut of meat. Avoid all bones. Repeat this process covering the entire piece ofmeat over and often as desired. 4. Cleaning your meat tenderizer after using. Make sure the water temperatureis less than 80 degrees to prevent the plastic part deformed. 5. It can be more flexible to use if you lubricate the blades with cooking oilbefore use. Safety Precautions KEEP LOCKED UP AND OUT OF THE REACH OF THE CHILDREN!